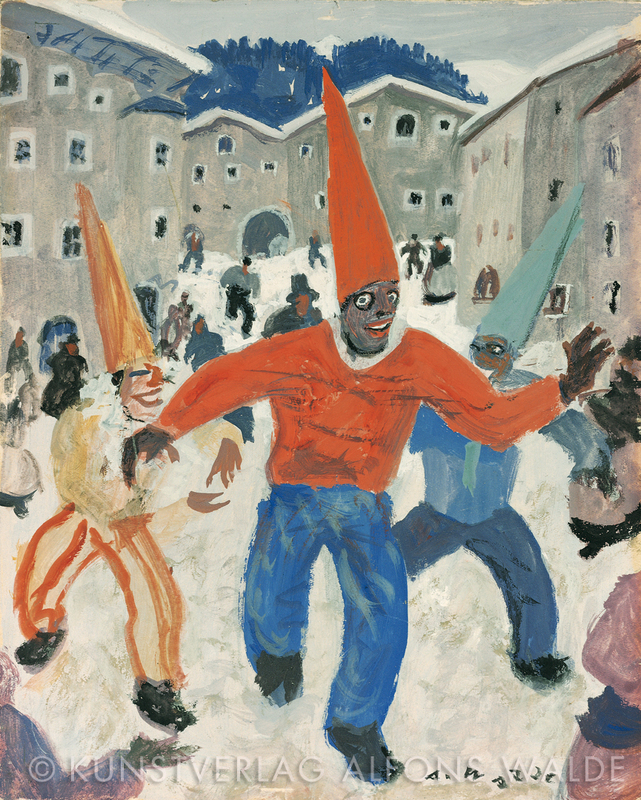 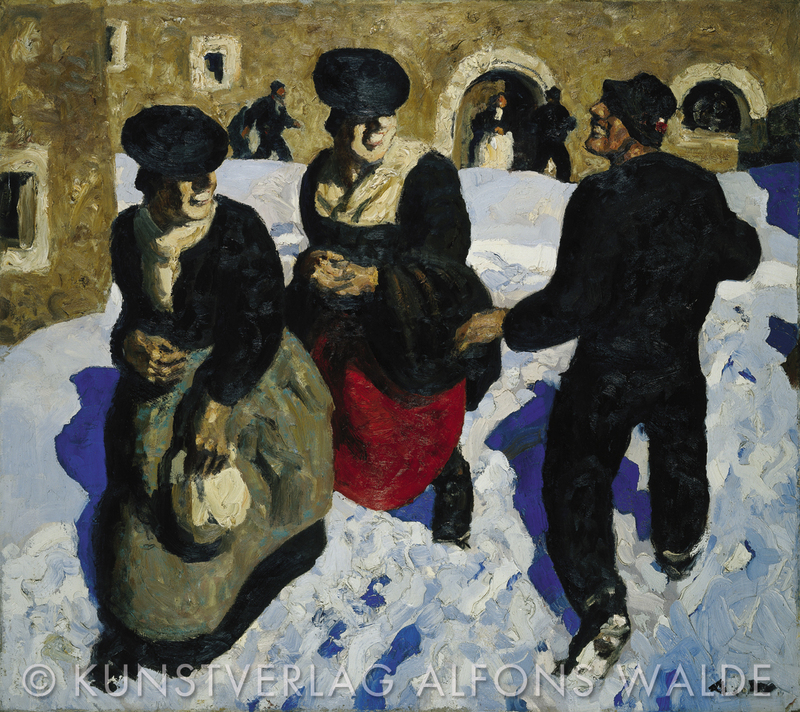 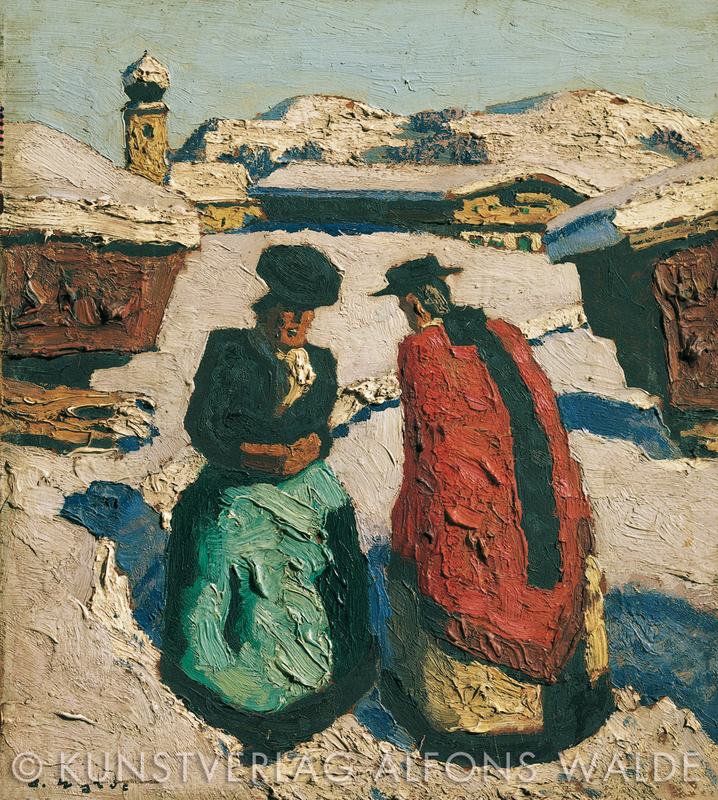 Throughout his lifetime, Alfons Walde took inspiration from the natural beauty of his native Tyrol, but just as much so from the local people and culture. 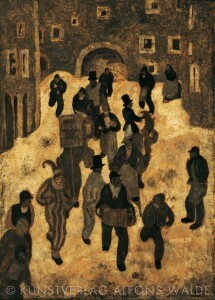 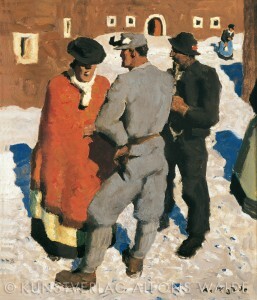 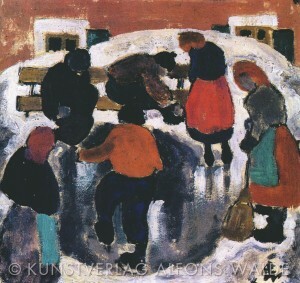 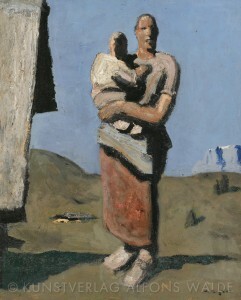 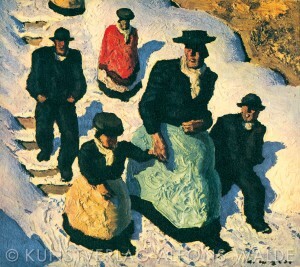 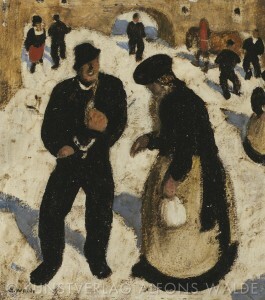 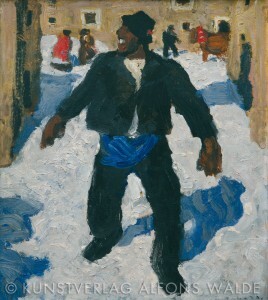 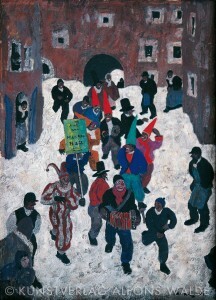 Many inhabitants were farmers, and they were the subject of many of his paintings. 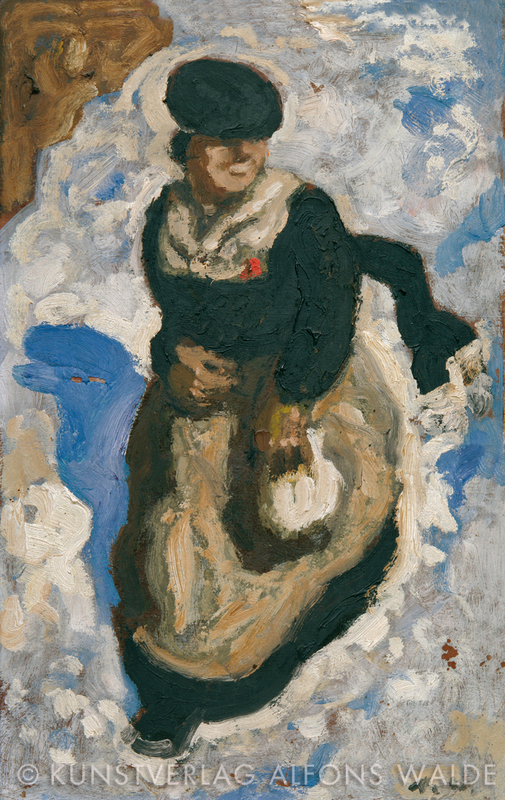 These paintings feature a characteristic mannerism traceable to many of Walde’s works, namely that of depicting his human subjects as a “function” of their natural environment. 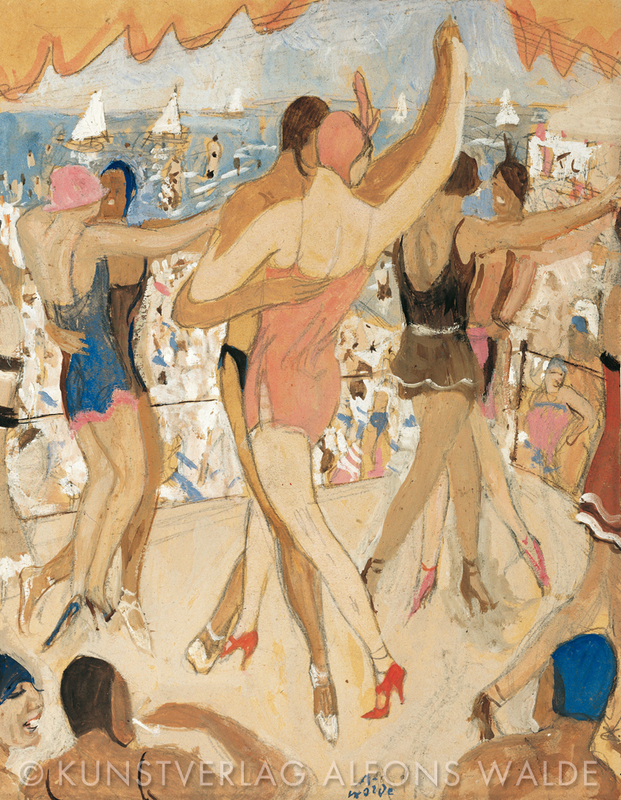 He chose a style that leaves his human figures, be they in motion or standing still, virtually lifted of their individuality, one that emphasized the harmony of human beings as an active part of their natural environment instead. The sketch-like technique that Walde used to represent human faces are a distinct element of this style. 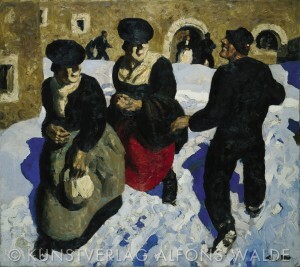 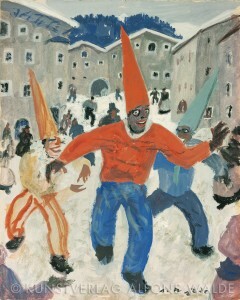 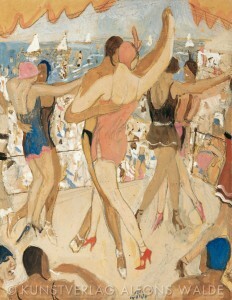 Around 1926, Walde’s artistic intention developed a new focus. It was no longer the genre-induced “comfortable scenario” that interested him, as he turned instead to a conception of man rooted in the concepts of work, fate and daily existence (See especially his works Holzknecht [Lumberjack], Bauernmutter [Farmer Mother] and Ofenbank [Oven Bench]). 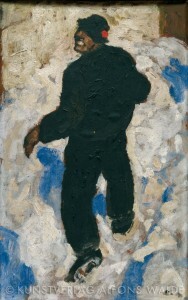 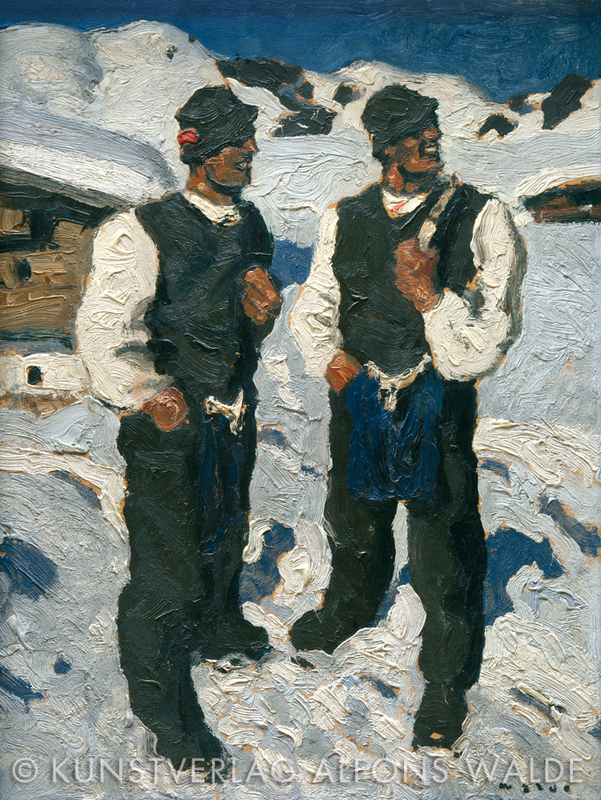 With respect to both theme and form, Walde’s work is probably most closely related to the figural work of the Austrian artist, Albin Egger-Lienz. 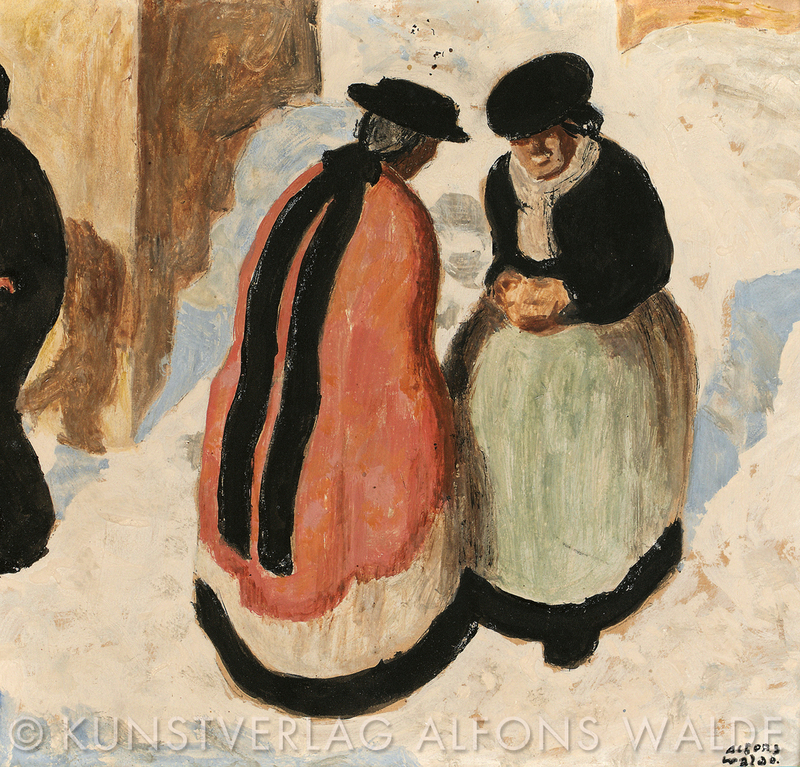 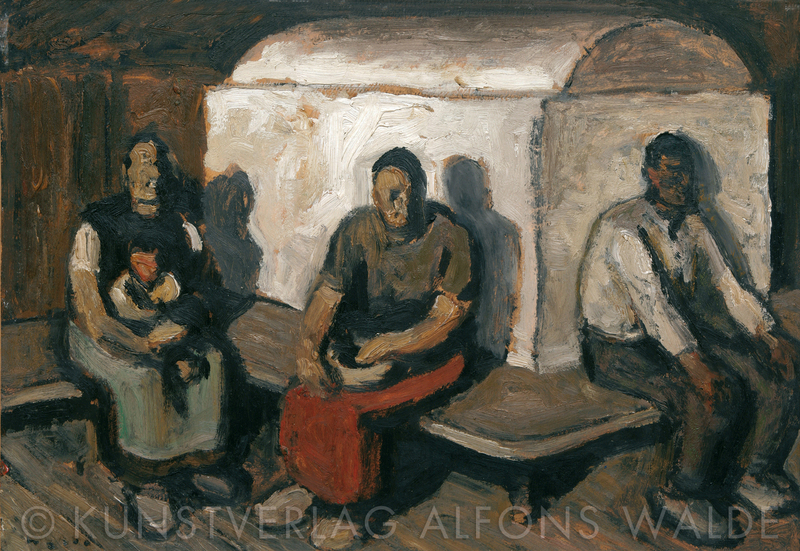 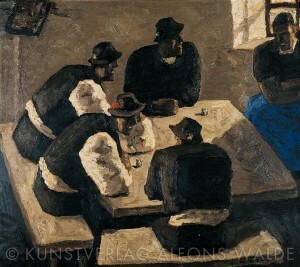 However, Walde’s living scenes retain a decidedly more positive note, as he preferred not to approach “life and death” subjects directly in his paintings – something that Egger-Lienz did ever more frequently in his later work.